For many retailers in today’s competitive market, Veterans Day is another opportunity for an advertised sale, along with special discounts for anyone who has served in the military. As voice over professionals, we often record commercial spots to sell furniture or cars or hardware supplies for the one-day holidays like Memorial Day, President’s Day and Veterans Day. So, it’s nice to get a chance to be a part of something that is a sincere tribute to the men and women who sacrifice in service of our country. I was lucky enough to be asked to do a TV commercial spot vo for a local supermarket chain that honors our Veterans in a very simple and sincere way. Thanks to Villing & Company and Martin’s Supermarkets for the creative vision behind this short spot. I have enjoyed seeing it run in our local market for the last few days, and it has played annually since it was produced back in 2010. As I scroll through Facebook today, I see that many people have posted photos of their parents or grandparents or sons or daughters who have been in service to keep the people of our country safe. It’s very gratifying to know that their service is not in vain and is never forgotten. We all get a chance to pay some form of tribute to the members of our military today, whether just by way of a social media message, seeing and thanking a Veteran in person, witnessing a school program, or maybe even by taking some flowers and prayers to a cemetery. I’ll be on the lookout for anyone in military uniform as I’m out of the house today, and I hope to get an opportunity to express my gratitude and appreciation for what they have done. 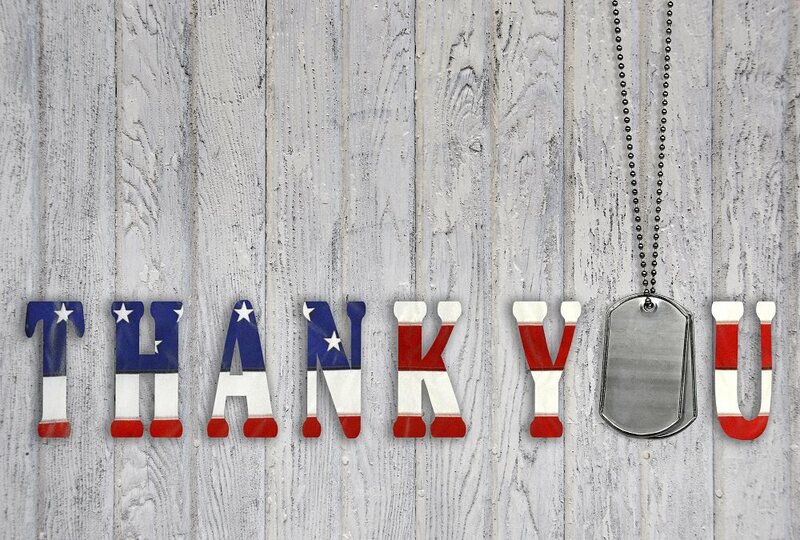 Thank you to all Veterans who have served. We salute you today and every day! Your salute to our vets is much appreciated. By this US Navy vet and many more you will reach with your article. I too embrace opportunities each year on this day to share my gratitude for our military veterans. Hope you don’t mind me sharing a commercial I was honored to voice for Arizona State University for their salute to our veterans. Good to hear from you. We probably heard this spot on the ASU/Notre Dame game this past Saturday. Great stuff!